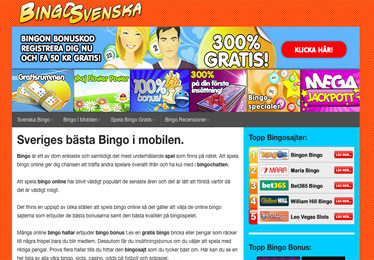 All the information about bingo games in Sweden, best bingo promos and offers, top bingo games and operators, the swedish bingo player choice . A selection of the best deposit bonus available from the top operators, for the casino, sports, bingo, and poker swedish players. 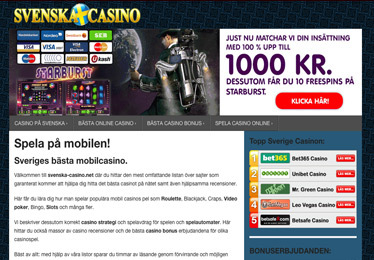 All the information for Svenska Casinos (Swedish Casinos) with extensive reviews for the different casino operators, useful infomration on available payment methods for Sweden, and the latests news on casino bonus and promotions. 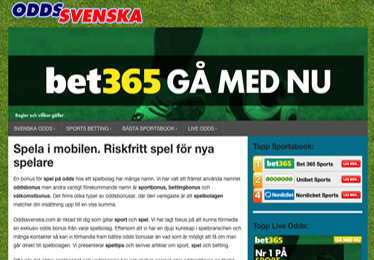 All the odds information for svenska (swedish) sports betting fans, football, icehockey, live odds, and the bookmakers that operate in Sweden. 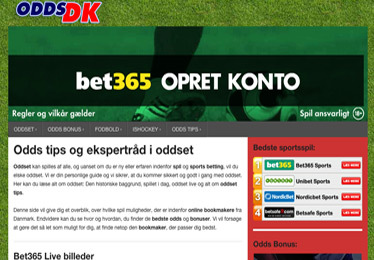 All the odds information for DK (Denmark) sports betting fans, football, icehockey, and more. Live odds, and reviews from the bookmakers currently operating in Denmark. 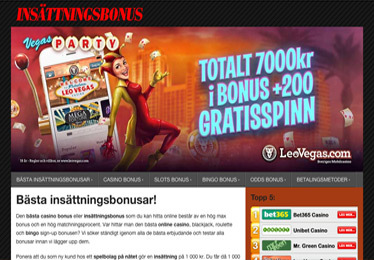 Scandinavian Gaming is an performance marketing affiliate network with a focus on iGaming, targeting the Bingo, Casino, Slots and Sports verticals. With an emphasis on traffic quality not quantity, we deliver the right visitor to our client's websites. With a full range services including paid ad placement through any vertical or across the entire network, content marketing, reviews, news and promotional materials. Flat fee plus commission hybrid solutions available, only the best traffic, we focus in quality rather than quantity, improve your conversion rates by targeting only qualified visitors. Sweden's Gambling Minster plans to accelerate his project to introduce new gaming legislation that could lead to the country loosening its regulation of online gambling by 2018. Danske Licens Spil, the online gaming subsidiary of Danish state-owned gaming operator Danske Spil, has acquired a majority stake in fantasy sports platform provider Swush.com. Cherry-owned Scandinavian affiliate network Game Lounge has agreed a deal to acquire a prominent Finnish affiliate’s domains for €1.2 million ($1.3 million). 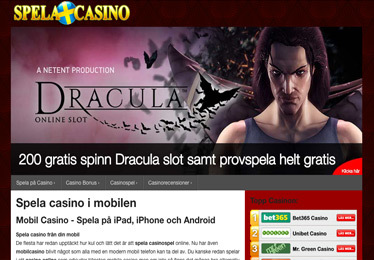 Playtech has won the contract to supply gaming operator Norsk Tipping with locally adapted content. Contact us to learn more about our services, publishing packages, advertising and marekting campaigns. ©2015 Scandinavian Gaming. All rights reserved.